[S25] Hannah McPherson, Holcombe Genealogy, page 153.1. [S377] Coralee Griswold Griswold 6 & 7 Vol 1, page 539. [S377] Coralee Griswold Griswold 6 & 7 Vol 1, page 540. Abram Griswold Hunter was buried at Green Hill Cemetery, Dryden, Tompkins Co., NY.1 He was born on 6 August 1840.1 He was the son of Hiram H. Hunter and Asenath Griswold.1 Abram Griswold Hunter married Laura Ann Merritt on 11 February 1860.1 Abram Griswold Hunter died on 8 November 1915 at age 75. [S182] Social Security Death Index (on-line), Ancestry.com, SSDI, Ancestry.com, SSAN 380-01-8132. [S377] Coralee Griswold Griswold 6 & 7 Vol 1, page 541. [S377] Coralee Griswold Griswold 6 & 7 Vol 1, page 542. [S377] Coralee Griswold Griswold 6 & 7 Vol 1, page 222. Amos Jackson Boyer married Francis Marie Kirkland, daughter of Clyde Edwin Kirkland and Nettie M. Smith. [S182] Social Security Death Index (on-line), Ancestry.com, SSDI, Ancestry.com, SSAN 278-20-3123. [S25] Hannah McPherson, Holcombe Genealogy, page 153.2. Hugh Hamilton Connelly also went by the name of Buck Connelly. He was born at Newberry, Newberry Co., SC. He married Katie Rushton. Hugh Hamilton Connelly died on 7 April 2007. He was buried on 10 April 2007 at Newberry Memorial Gardens, Newberry, Newberry Co., SC. 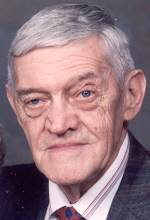 Hugh H. “Buck” Connelly, 84, of 2625 Deloache Ave., Newberry, died Saturday, April 7, 2007 at his residence. Mr. Connelly was born in Newberry, a son of the late G. Hugh and Martha “Mattie” Mann Connelly. He retired from the City of Newberry after 34 years of service. He was the Superintendent of Utilities upon his retirement. He was a member of Aveleigh Presbyterian Church and member and former President of the Neil Truesdall Sunday School Class; was Past President of the Men of the S.C. Presbytery; Life Time member and Past President of the Southeastern Water Works Association (with over 50 years); Volunteer member of the City of Newberry Fire Department (with over 20 years active service and was elected to Honorary Membership) where he served as Past President and retired as Captain ; Charter member of the Newberry Moose Lodge #27; former member of the Newberry Exchange Club where he served as Vice Chairman; Life Member and Past Worshipful Master of Amity Masonic Lodge #87 A.F.M; member of Newberry York Rite Bodies; member of Hejaz Temple where he served as Potentates Aide; and was a Charter member, Past President, and Life member of the S.C. Water and Sewer Association. He was appointed by the Governor of S.C. to serve on the Pollution Control Authority; was former Chairman of the Safety Committee for the S.E. Section of AWWA; and was Engineer and Public Works Officer for the Newberry County Civil Defense. He is survived by his wife, Katie Rushton Connelly of Newberry; a daughter, Nancy Connelly Holcombe of Greer; a son, Arthur Roland (Jeanne Wallace) Connelly of Greenville; a sister, Thelma (John Andrew) Shaw of Saluda; a brother, George T. “Tommy” (Frances) Connelly of Newberry; and two granddaughters, Sarah Inez “Salli” Holcombe and Elizabeth Bryan Connelly. He was predeceased by a sister, Verdie Ernestine “Polly” Green and a brother, Forest William Connelly. Funeral services will be conducted at 3:00 PM Tuesday at the Aveleigh Presbyterian Church by the Rev. Dr. Mitch Van Metre. Interment will be in Newberry Memorial Gardens. Visitation will be from 6:00 to 7:00 PM Monday at the Whitaker Funeral Home. The family will be at the residence,2625 Deloache Ave., Newberry. Memorials may be made to Aveleigh Presbyterian Church Playground Fund, 1211 Calhoun St., Newberry SC 29108. Active pallbearers will be Terry Sheaver, Jim Parks, Mark Banister, Doyle “Sonny” Gallman, Billy Gallman, George Shaw, Jimmy Broderix, Lamar Storey, and Jamie Johnson..
Honorary pallbearers will be Dr. Mark Mayson, Dr. John Thompson, James Swygert, Stanley Ramey, James “Monk” Johnson; the members of the Neil Trusedall Sunday School Class,and the employees of LoRex Drug. Messages to the family may be sent via email at notes@whitakerfuneralhome.com. Joseph Churchill was born on 2 December 1649 or 7 December 1649. He was the son of Josiah Churchill and Elizabeth Foote. Ruben and S. E. were enumerated in the 1870 Adams, Green Co., WI, federal census. He was a farmer, age 54, she was 44. Children in the household were James A. 13, H. E. 10, R. 6, and L. J. 4. Ruben and Sarah were enumerated in the 1880 Adams, Green Co., WI, federal census. He was a farmer, age 64, she was 57. Children in the household were Amos 23, Earnest 20, Ruben 16, and Jennie 14. [S627] Dean Holcomb, "Appollos Holcombe," e-mail to James H. Holcombe, 6 April 2007. Ernest and "Rosa" were enumerated in the 1900 Adams, Green Co., WI, federal census. He was a farmer, age 40, she was 32. 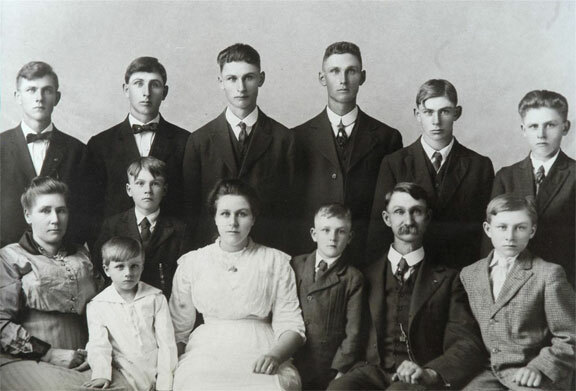 Children in the household were Fred 10, Robert 9, Harold 8, Ira 7, Etta 4, and Clarence 1. Ernest and "Rosa" were enumerated in the 1910 Adams, Green Co., WI, federal census. He was a farmer, age 50, she was 42. They had been married 21 years and had 12 children, 10 of whom were still living. Childlren in the household were Robert 19, Harold 18, Ira 17, Etta 14, Clarence 11, James 9, Arthur 7, Arnie 5, and Marvin 2. Ernest and Rose were enumerated in the 1920 Monroe, Green Co., WI, federal census. He was a retired farmer. Children in the household were Ernest 15, Marvin 12, and Leon 7. Widow "Rosa" was enumerated in the 1930 Monroe, Green Co., WI, federal census. She was 62. Children in the household were Ernest 25, Marvin 22, and Leon 19. Ira and Hulda were enumerated in the 1920 Adams, Green Co., WI, federal census. He was a dairy farmer, age 26, she was 24. Children in the household were Gladys L. 4, Luvern 2, and Ruth H. 1 month. [S182] Social Security Death Index (on-line), Ancestry.com, SSDI, Ancestry.com, SSAN 395-22-2467. [S182] Social Security Death Index (on-line), Ancestry.com, SSDI, Ancestry.com, SSAN 391-20-0511. Child of Abigail Fuller and Nathan Phelps Sr.
Johathan Griswold was born on 10 April 1749 at Lyme, New London Co., CT.1,2,3 He was the son of Ephraim Griswold and Experience Steadman.1 Johathan Griswold married Sarah Osborne on 1 November 1770 at Woodbridge, New Haven Co., CT.2 Johathan Griswold died on 14 February 1820 at Sheridan, Chautauqua Co., NY, at age 70.1,2 He was buried at Sheridan Center Cemetery, Sheridan, Chautauqua Co., NY; south 4th row. [S629] Coralee Griswold, Griswold 6 & 7 vol 2, page 944. [S863] Thomas Owen Griswold, Reeve Griswold Family, page 65.